You can become a Massage Therapist in as little as 6 months! MTTI’s medical massage program is a broad and flexible education. Graduates can work in spas, resorts, or health care and sports environments. Students graduate confident and skilled after completing assessment, treatment, and charting on 120 clients under the supervision of an instructor. Students graduate with a business license, business plan, resume, all marketing materials to promote themselves, and ready to apply for jobs or build their own business. 250 hour 12-week Advanced program for Massage Therapists who want to specialize in Sports Massage. Learn how to work with athletes at the amateur or professional level. This one of a kind program offers hands-on experience treating real athletic injuries in an active sports clinic at New Mexico State University. Experience working as part of a Team of other professionals to maximize the health and wellness of each athlete. Certified Sports Massage Therapists help athletes reach their potential while considering their safety. 250 hour 12-week Advanced Program for Massage Therapists who want to specialize in Medical Massage in a Hospital setting. This one of a kind program offers hands-on experience in hospitals and medical facilities learning integrative team care plan skills with multiple Physicians and Specialists. Certified Medical Massage Therapists are trained in pathologies, pharmacology, acute and chronic conditions, pre and post operative care, palliative, hospice and end stage care. 19 Massage Modalities are taught in the MTTI Program, balancing medical massage skills, the study of human anatomy, a variety of hands-on experiences, modern business skills, and a holistic lifestyle. This is a six month full-time program, with daytime and evening class options, and a part-time, 12 month option. 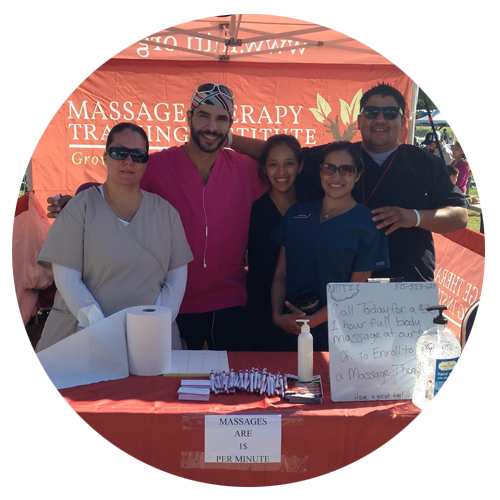 Get hands-on experience at our on-site student massage clinic. Develop confidence and skill completing assessment, treatment, and charting on 120 clients under the supervision of our dedicated instructors. Our instructors and staff are a team of world class massage therapists, authors, energy workers, midwives, business owners and entrepreneurs. Massage school is a place of transformational growth. Our school takes a holistic approach for your mind, body and soul. Students learn the tools needed to live a healthy, vibrant, and well-balanced life. With 300+ days of sunshine, MTTI students enjoy the vibrant community and local culture of Las Cruces, and the amazing outdoor activities of Southern New Mexico. In only 6 months, MTTI’s 750 hour Medical Massage Program qualifies our graduates for licensure in most states and provides access to jobs in the spa, resort, sports, and health care industries. MTTI graduates work in doctor’s and chiropractor’s offices, at health and wellness clinics, at hospitals, and at spas. 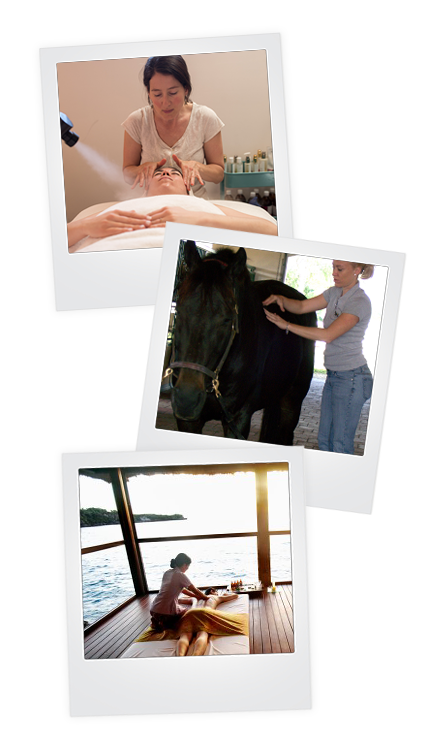 They work with pregnant women and infants, with the elderly, with veterans, with athletes as sports massage therapists, and with horses as equine massage therapists. They work as traveling massage therapists, on cruise ships, and at resorts all over the world. The possibilities for your career as a massage therapist are as limitless as your dreams. “My experience at MTTI was life changing! Not only are the professors knowledgeable in their respective fields, the one on one attention is outstanding. I had a choice of several massage schools and I chose MTTI because of the extraordinary curriculum. MTTI encourages the strengths of the individual students and the atmosphere is supportive yet challenging. 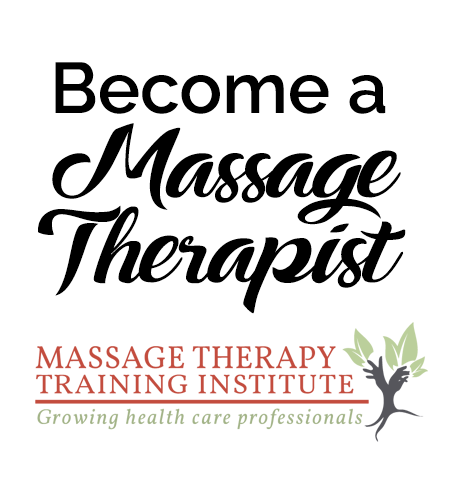 This website is intended to promote the current massage therapy curriculum and educational philosophy provided by Massage Therapy Training Institute. Although all persons depicted are current or former MTTI students or instructors, this website is not intended to represent MTTI's current location, students, instructors, or employees.